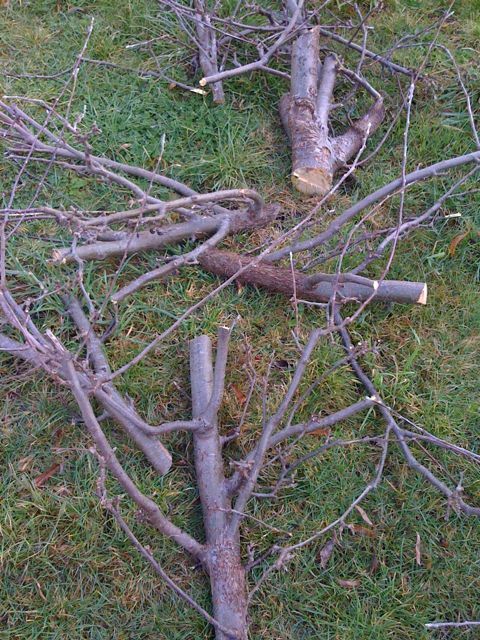 I took the plunge today & cut down my apple tree, all by myself!! It was surprisingly quick & I didn’t even get tired. I really wish I had a mulcher, even though I’d probably only use it once a year. 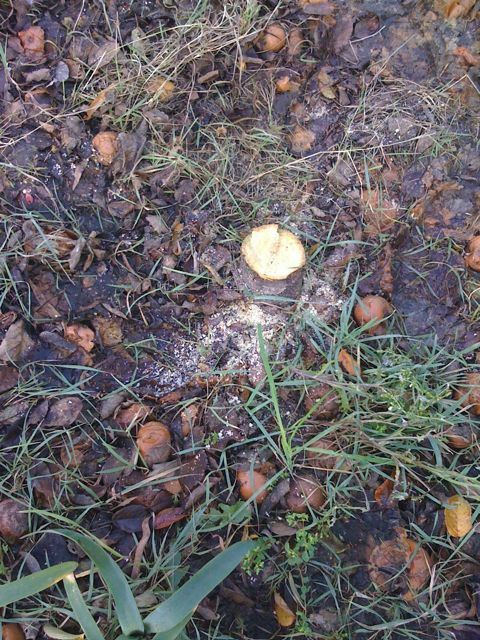 Next job: dig up the nectarine & move it to near where the apple tree was. Still so much work to do but it’s getting there! This entry was posted on July 18, 2009 at 5:44 pm and is filed under gardening, Home, iphone posts. You can follow any responses to this entry through the RSS 2.0 feed. You can leave a response, or trackback from your own site. I’m impressed 🙂 Good job!